Get our needlework label with common guidelines to help you stitch. 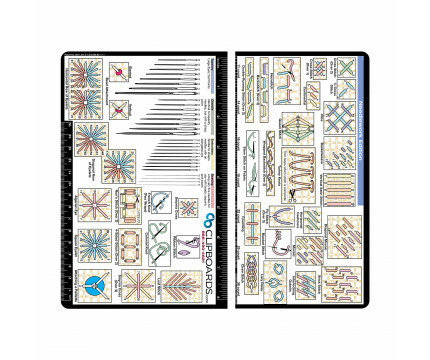 This label features 37 stitch diagrams, 4 needle size guides, a thread count ruler, 6 inch and 15 centimeter rulers for referencing. Hover over the label image to display high resolution details of the information on this label. This label with fit our WhiteCoat Clipboard or full size ISO Clipboards. Clipboard is not included with this label. 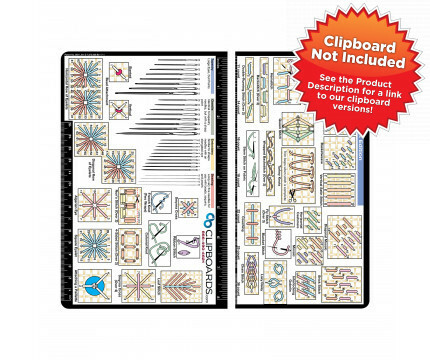 If you are looking for a clipboard with this label, check out our Needlework Edition Clipboard Here!